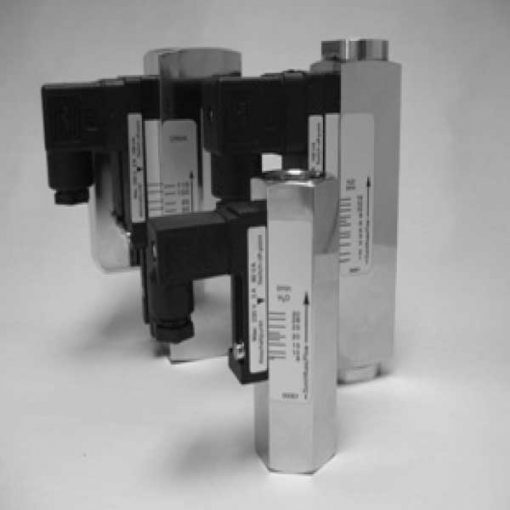 The HYDAC Flow Switch in the series HFS 2500 is based on the variable area float principle. Indeed, the test medium deflects a spring-loaded float in the direction of flow, depending on the flow rate. A reed contact is fitted to the outside of the instrument and is, therefore, separate from the flow circuit. So, when the magnet inside the float reaches the pre-set position, the reed contacts will switch. What’s more, to protect it from external influences, a casing, designed to allow steplessly variable adjustments, encapsulates the switch. Moreover, the instruments in the HFS 2500 series are available in two versions, with 5% accuracy and with 10% accuracy.